Lens Description: The Mamiya 80mm f/2.8 AFD "D" Lens is a compact, lightweight standard focal length lens.rnrnAs the normal lens for the 645 system, the view is reasonably equivalent to normal human sight. 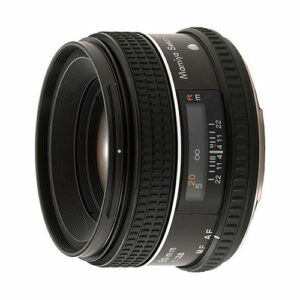 With no distortion and good usability, this lens can be used in a myriad of scenarios. Mamiya lenses are quality controlled at all stages. They are engineered for professional use. Mamiya manufactures its own glass and coats the lens elements using Mamiya's proprietary multi-coating process, increasing light transmission, dramatically reducing flare, and ensuring crisp, clean whites and vibrant natural colors.